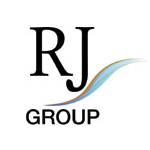 rjbuilders.in - Established with a focus to serve & backed by passion and precision, RJ Builders in its three decades of existence has grown to offer the full gamut of services. The company has left its lasting impressions over 3 million sq ft space across 40 projects. The projects owing to its strategic locations are the landmarks in the areas they are situated in, these project designs' stand a silent testimony for underline comfort and stress-free living even today. The commercial constructions have evolved with the organizational growth to live up to their growing expectations with their cutting edge modern design employed then. Many an acclaimed hospitals and popular hospitality constructions bear their mark of quality. Another extensive expanse of 10 million sq. ft. in various pockets of south India carries the indelible imprint of its interior design, furnishing identities to internal spaces and complementing brand experience and personal lifestyles. The customization of each requirement, across every project, is deftly handled by a skilled professional team.